There is a Jewish concept we learn from the Torah, called shmita. The commandment of shmita (the sabbatical year) instructs you to stop working the land every seven years; let it lie fallow, let nature take over and do its work without you trying to be in control. Don’t plant, don’t cultivate, don’t harvest. Re-wild. Step back, let it rest – and share. Take down the fences and let everyone, animals and humans, come and partake of whatever grows in your field. 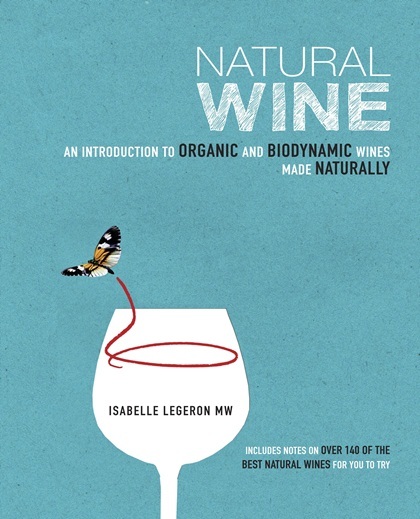 Reading Isabelle Legeron’s recently published, beautifully produced book, I realized that she and fellow members of the natural wine faith advocate a very similar idea to that found in the Bible. They claim Mother Nature knows what she’s doing. Instead of interfering with her work, we should allow her savage ways to rule our land, and leave her room to produce whatever wine she fancies producing. The first observation Legeron makes is, while it’s the ‘in’ thing to be a foodie and care so much about where and how our ingredients were sourced, how come we don’t care a bit about how our wine was made? It is true; what she terms the ‘agro-chic’ trend indeed seems to be much more interested in all food products but wine. Why indeed? I have an explanation, based on my own kitchen-related activities. I buy organic veg whenever I can. I also want to make sure my eggs come from happy chicken. Do I buy organic wine? No. Why? Because with wine my considerations lie elsewhere. Wine is a work of art. Unlike an egg or an onion, it is complex, individual. How its components are produced is secondary from my consumer perspective to how it tastes – at least that was my attitude before reading Legeron. Furthermore, any supermarket will sell happy eggs and organic leek, but only the odd specialist wine shop will have a selection of organic or natural wine of decent quality. To go to a wine shop is a shlep as it is. To go to one that sells ‘happy’ wine is just too much of an effort. So a lot of it is a matter of convenience, I’d think. But also, I have found in my personal comings and goings that a lot of smaller winemakers, even if they’re not certified organic or natural, care an awful lot about how they make their wine and what they put into it, starting with the quality of the grapes. And up until now that’s been good enough for me. Legeron states that her book is a tribute to those winemakers who ‘remain natural against all odds’, defying modern winemaking practices. The question immediately arises: what is wrong with modern winemaking practices? And this is wherein I feel the weakness of this otherwise attractive and carefully edited book lies. We fail to get a convincing argument as to why natural, traditional, and old-school are better than contemporary, high-tech, progressive. Sure, I agree that just as you should discourage your friends from eating junk food, you should talk them out of drinking mass-produced, industrial junk wine. But staying away from junk doesn’t mean I have to go natural and SO2 free. Who said that winemaking techniques of the past produced better wine than those of today? I would have argued to the contrary. Historians I’ve read seem to agree that most wine produced in the past was probably foul, for a number of reasons; whereas today, unless you’re really unlucky, you’ll find that even the cheapest glug will be clean, wine-like (as opposed to vinegar-like) and inoffensive, though admittedly soulless. The question we have to ask ourselves is: do I want my wine to be ‘healthy’ or do I want it to taste like I expect it to taste? This is where the interesting twist comes in: Legeron claims that we are too accustomed to our expectations. 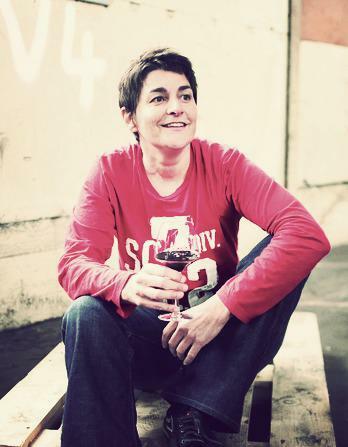 She doesn’t for a minute try to argue that natural wine is just like ordinary wine. It looks, smells and tastes different. (I felt she could have dedicated a lot more space to this point, actually; to explain to us novices in much greater detail how natural wine should be appreciated.) But she states that this difference is good, even if it’s unusual, even if we are first surprised or even shocked by it. To me this seems to be the crux of the whole natural wine debate: are you prepared to call something good that doesn’t live up to conventional expectations? Something completely outside the box? I don’t know if I am, but the book has certainly made me think. Legeron is of course right about many things, and I wholeheartedly agree that exploitation of the land, overuse of chemicals, or stripping the wine of its natural substances by filtration or other intervention are all bad things, not to mention outright adulteration. Of course diversity, naturalness are great and to be cherished. And yes, perhaps we are too set in our taste ways when it comes to wine, and aren’t prepared to open our horizons to new flavour or texture experiences. This may well be, but the fact remains that I have tasted very few strictly natural wines – ‘strictly’ meaning without any added SO2 – that I enjoyed. Most were smelly, unpleasant, hazy liquids tasting of rotten fruit or solvent or other undesirable things. I know that smelly cheese also takes a while to get used to. But smelly cheeses have a tradition of their own. Smelly wines, with the odd exception, do not, as far as I know. Certainly. And the same applies to many human achievements. Music also started as a simple thing, and so did architecture. But these things developed into an art form and their finest examples soon became elements of what we consider high culture. Not all wine and not all buildings have to be sophisticated or ‘manufactured’, for sure. Whether you ride a buggy or an Aston Martin convertible is your choice, and either may suit you at different times. But it doesn’t mean we should go back to using buggies only, does it? I know, it would be much better for the environment, but it would be kind of naïve to imagine this could realistically happen. So, as much as I enjoyed and even admired Natural Wine, I’m still not convinced why going back to the old ways would be desirable. But, as Legeron states, the purpose of her book is to start a conversation, and this she undoubtedly achieves with her respectable, edifying, engaging and positive content. I even like the fact that she is such an unashamed idealist. People who feel strongly about something are so much more convincing than the wishy-washy middle-of-the-roaders. Even if you don’t agree with them. ← What the bleep do we know… about the wines of Lebanon?